We are Rob & Lori and we focus on intimate and boutique weddings, for us, photographing a wedding is more than just taking beautiful pictures, it’s about documenting who you really are, your relationship and how it felt to be there. We look for authentic, real love and couples who are not afraid to laugh, cry their hearts out and party like if there is no tomorrow. Are you planning to come to Costa Rica to celebrate your wedding or just want to spend some awesome time with your couple surrounded by nature? As couple and wedding photographers, we love to shoot people deeply in love, in a real, raw and spontaneous way, we simply enjoy to capture all the craziness of love and all the emotions around it; that is our essence and what we do best. Don't hessitate to contact us and tell us your big plans. How would you describe your photography approach? In simple terms, we are documentary wedding photographers with a little bit of fashion, a little bit of here and there. We really enjoy documenting the vibe of your wedding day without adding artificial ingredients, just capturing moments as they naturally unfold, providing gentle and natural directions during portrait times. We want you to spend your day having fun not posing for photos, we love all those emotions full of spontaneous laughs and corky dances that happen during every wedding. We are planning a wedding in Costa Rica, what can we expect? FUN! plenty of fun, we must say that we are friendly people that love having you around here, we are sure that you will love the country doesn't matter if you are planning a wedding at one of our gorgeous beaches or in the middle of a mountain, you will love it. What kind of couples do you normally work with? 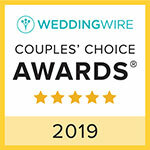 Our couples are the best!! In a few words our couples love photos and want great memories without compromising the natural flow of the day, if you care more about real, candid and emotional photos and care less about the staged/perfect hair images, we are going to be a perfect fit. Do you offer engagement/couple sessions? We do, and we love them. Sometimes couples like to come and check the venue and details several months before their wedding takes place, and that is a great chance to do a photos, you can use them for invites to show during the wedding or just to have a lovely memory from your trip. If you are not coming before the wedding day, one popular idea is to do a shoot the day before the wedding in a nearby place, we normally take 1.5h during the sunset and shoot some casual and nice shoots of you two, it is very nice because it gives more story to the wedding and you can have a more relax enjoyable experience, it will also helps a lot during the wedding because you will feel much more confident and relax with the pictures. We will love to book you guys, how do we do that? That will be lovely, so, if it is an engagement or couple session you can just click on the CONTACT link and send us a message with the date that you are coming here and also the locations that you are visiting. If it is a wedding you can click on the QUOTATION link and fill the form as much as you can, once we get this form we will send you a PDF with all our information and instructions to secure your date.